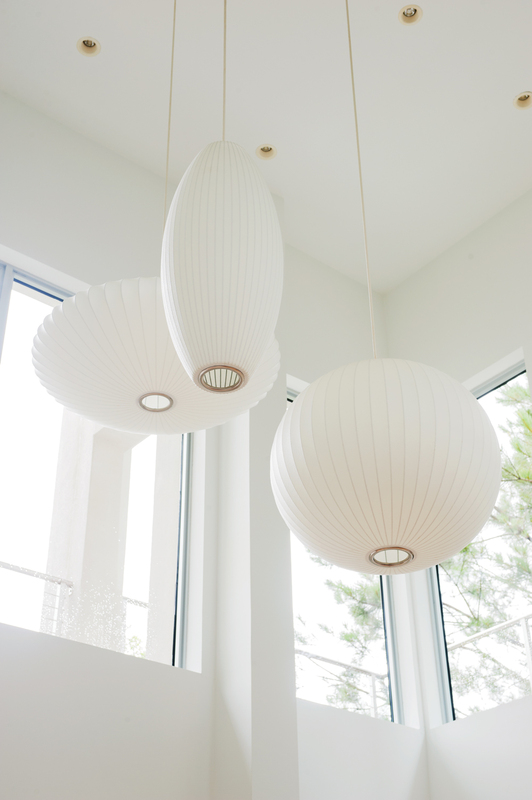 The Sharps’ previous residences were more traditional, but this modern home is a much better match for their art and their midcentury furniture collections. 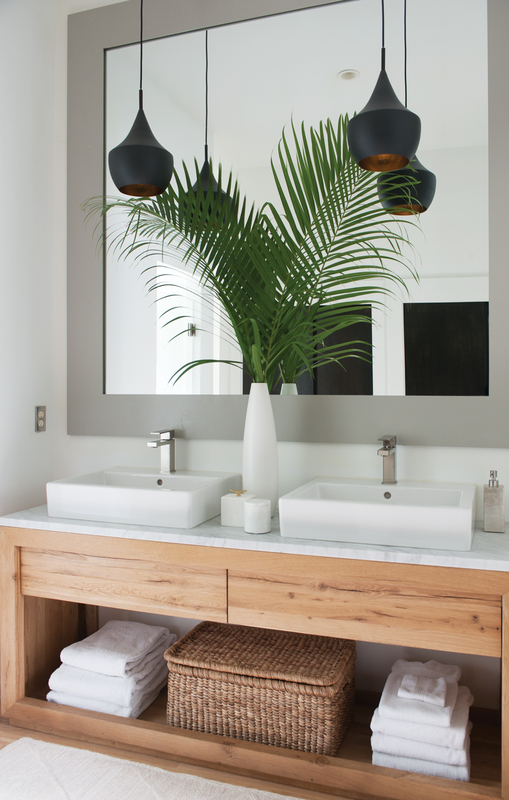 Meghan and Patrick freshened up the pool area, adding potted boxwoods and wood accents. Outdoor furniture from Design Within Reach, Williams-Sonoma Home, and Knoll reflects the homeowners’ love of modern lines. 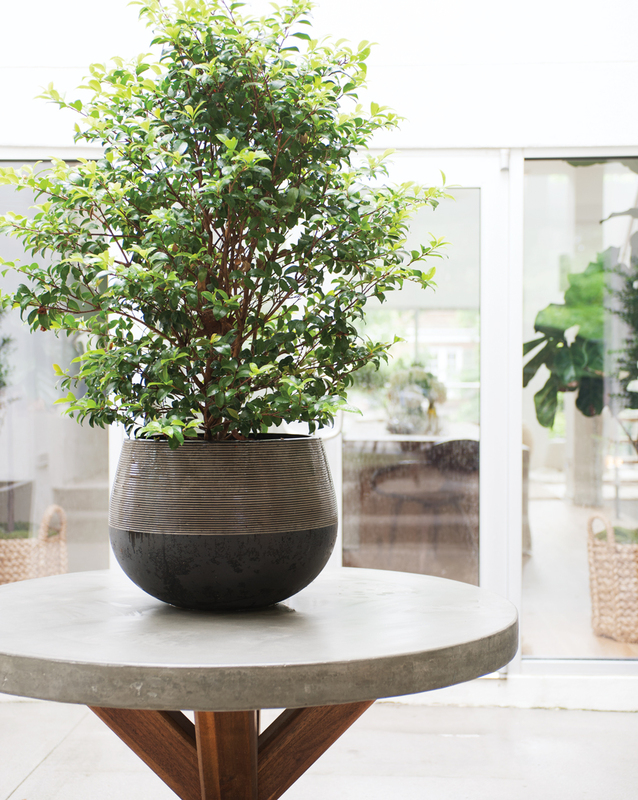 “We love a round entry table but really didn’t have room for it, so we took advantage of the open space just outside our main entrance to create this vignette,” says Meghan of this courtyard. A long wooden dining table from Restoration Hardware can serve as a home office as well as a place to eat. It is surrounded by slipcovered Mitchell Gold + Bob Williams side chairs and walnut chairs by Norman Cherner. Patrick’s job with Banana Republic eventually took them to San Francisco, where Meghan transferred through California Closets, her employer at the time. But they never stopped dreaming about Chattahoochee Hills. “One of our weekend pastimes was checking out Serenbe real estate online,” admits Meghan. Seeing this house for sale helped set them on a course back to Georgia, inspiring them to return and start their own business. Patrick had always dreamed of living in a “glass house in the woods,” like Mies van de Rohe’s transparent Farnsworth House in Illinois. This home’s living room, located on the second floor, has walls of windows and 24-foot-high ceilings wrapped with a verdant canopy. “When we look outside, all we see are trees,” says Meghan. 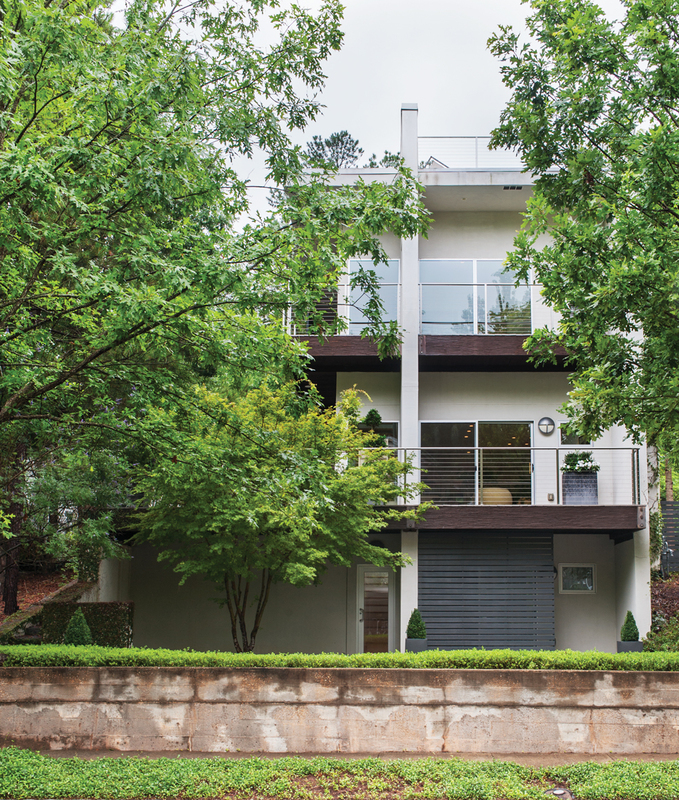 A plethora of outdoor spaces adds to the wooded ambience: balconies off every room, a front courtyard with a fountain, a pool, an outdoor living room, and a rooftop terrace. The Sharps gutted the existing kitchen to create this sleek version. 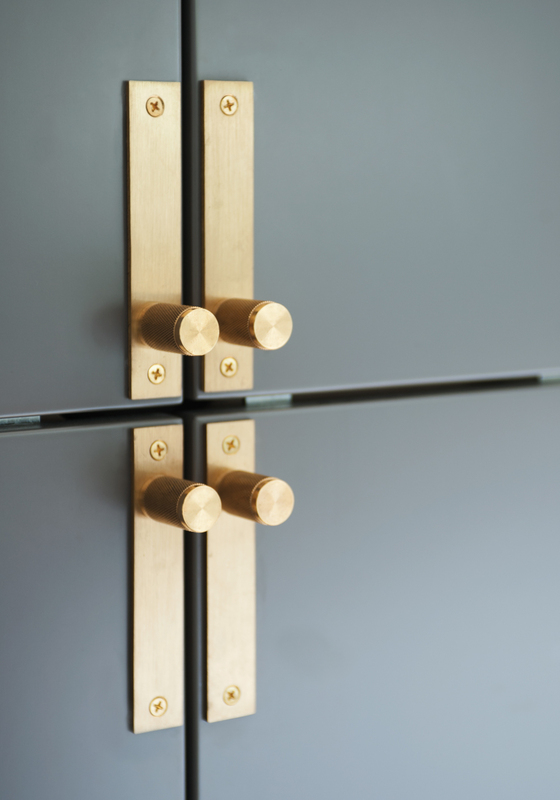 Gray cabinetry by Wood-Mode has knurled Buster + Punch hardware. Walnut floating shelves provide contrast. Ann Sacks marble tiles cover the walls and hood. Despite its striking attributes, the 2005-built house needed some updates. Every wall received a coat of white paint, and floors were refinished or replaced so that matte-finish hardwoods are consistent throughout the three levels. 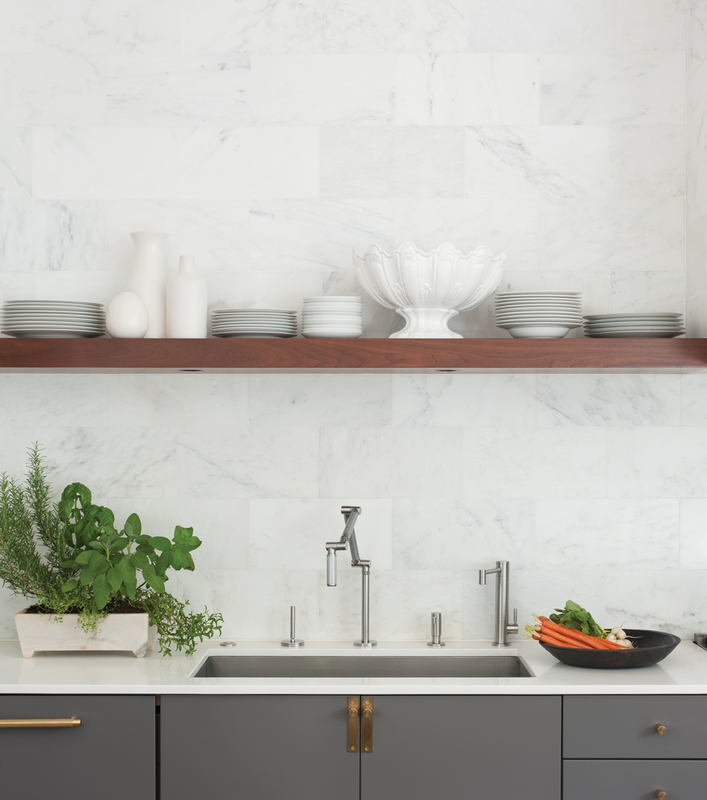 The new kitchen packs a lot of style into a small space, with a marble tile backsplash that runs up to the ceiling, floating walnut shelves, and sleek gray cabinetry with brass hardware. This floral painting is by local artist Rebekah Hudes. D’urso Knoll chairs and a Platner side table join furnishings from Serena & Lily and Tom Dixon in the carefully curated living room. The wall of art includes a photograph of a horse’s back by friend and Atlanta photographer Rob Brinson. 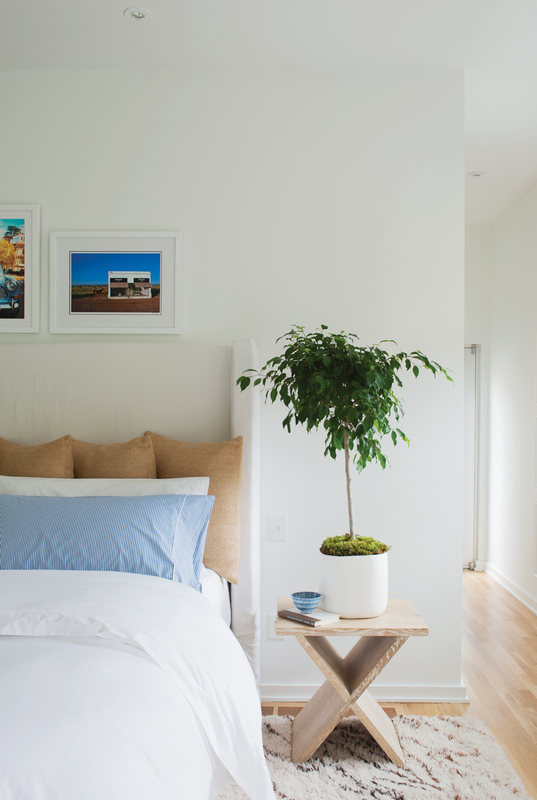 “Since we keep our furnishings neutral and void of pattern, we love the graphic look of that photo,” says Meghan. 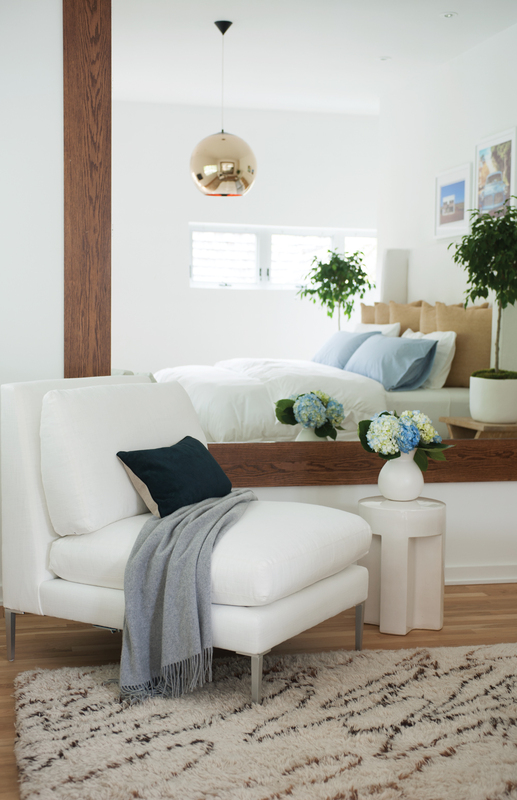 A custom walnut mirror reflects the beauty of the master bedroom, a soft space filled with a Belgian linen bed, Serena & Lily side tables, and a Miles Redd scribble rug. This article originally appeared in our Fall 2017 issue of Atlanta Magazine’s HOME.